All classes are as normally scheduled. We remind clients of Galway Maths Grinds on Friday evening and Saturday to keep the car pass you were issued in the car when coming to class. It might be a good idea to put it in the car now rather than risk forgetting it on the day. Have the pass on the dash of the car as you approach a control barrier and you will be waved through. Note also that a one way traffic system will be in place in accordance with the details on the map below. 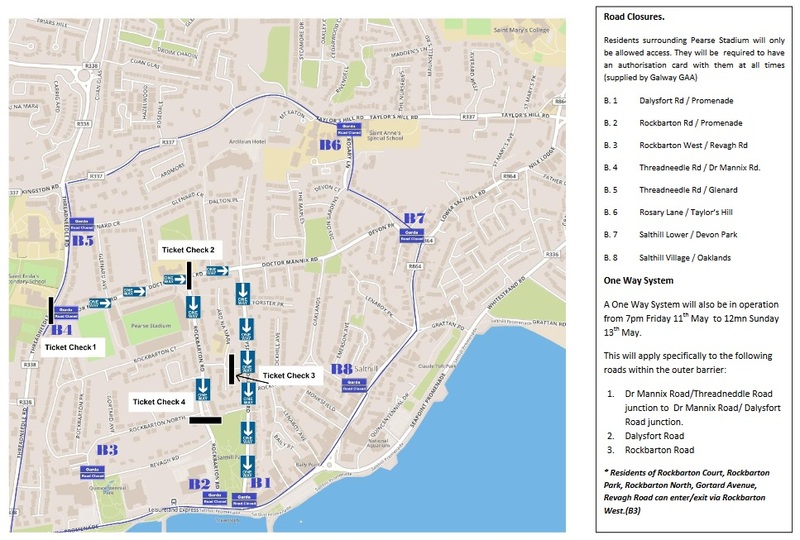 The direction of traffic flow will be from Threadneedle Road down Dr Mannix Road and towards the Prom via Rockbarton Road or Dalysford Road. Click on the map to see a larger version.